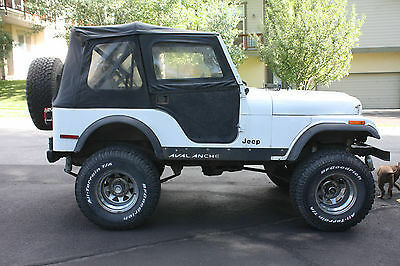 1980 Jeep CJ-5 - 6 cylinder - 4x4- soft top - soft doors - 33 in tires with lift. 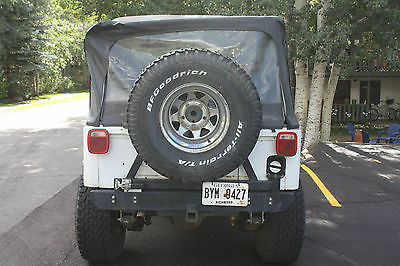 I purchased this Jeep on Ebay in 2006 with the intent of off roading and rock climbing. Before I could do any of that my wife and I had our first child. So it is has been on asphalt ever since. Occasionally driven with the top off in the summer. I realize I will never get to use it the way I wanted to so I am selling it. The engine is not original and it has what I estimate to be 140,000 miles on it. The odometer is not accurate. The person I bought it from used it as a rock climber and it has the suspension set up for that. It has a custom roll cage. It runs very well. I recently had a new starter put in. 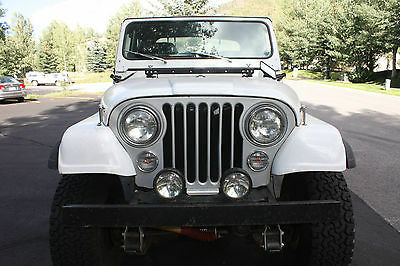 It is a great Jeep that could be driven as is or improved upon. There is a small exhaust leak that I was told by the mechanic has been rpaired as well as it can be. It will soon be time to redo the suspension and shocks if you intend to make this a true off road monster. There is no radio ( I will include the one I purchased - still in the box). The framing for the soft top has some pieces that should be replaced (I have included those replacement pieces). There is some typical rust for a 34 year old vehicle. There is a crack in the rear right brake light casing. There is a tear in the rubber casing around the gear shift. The windshield wiper switch is tricky and should be replaced. I will answer any additional questions as best I can. 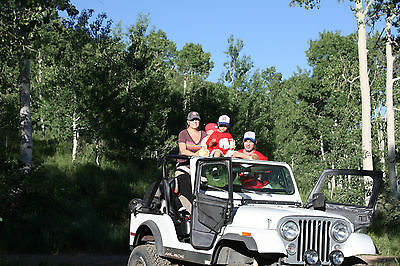 When I picked this Jeep up in 2006, I drove it from Albequerque, NM to Vail, CO. It can be driven that far but I would suggest you pull it or trailer it if you are going to go that far. I will require a Paypal deposit of $1,000.00 within 48 hours of the end of the auction.